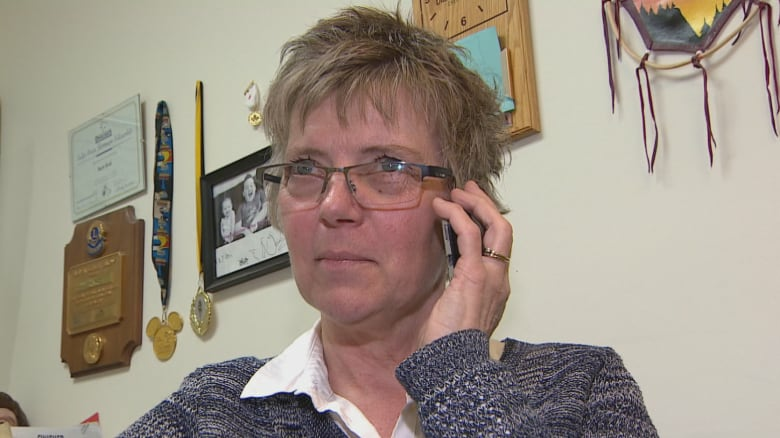 After a CBC iTeam investigation revealed that a Saskatchewan business owner was offered cash in exchange for a job offer to a Chinese national, three other people have come forward to report similar experiences. 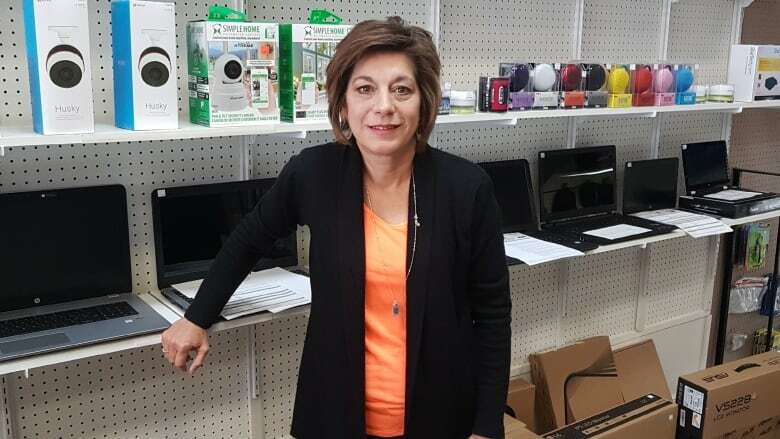 Last week, CBC reported that Barb Reid, owner of a Fabricland in Prince Albert, had been approached by a representative of a Vancouver-based immigration consulting firm. The man, Bill Sui, told Reid if she provided a letter offering a job to a Chinese national, his company, Vstar International, would pay the worker's salary and benefits for three months. Sui said the company would also pay Reid $15,000 cash as a "training fee." CBC secretly recorded Sui's entire offer to Reid. Experts say it's illegal to pay for a job offer letter. When CBC contacted Sui, he initially denied having made a cash-for-job offer. When we pointed out we had recorded his phone conversations with Reid, he ended the call. When asked about Sui's offer, VStar said he doesn't work for the company. In a text message, Vstar owner Nicole Sun said "we take any unauthorized use of our name very seriously, and are troubled by the allegations set out in your reporting." However, she was unable to explain why Vstar's receptionist took a message for Sui and he called back a few minutes later. 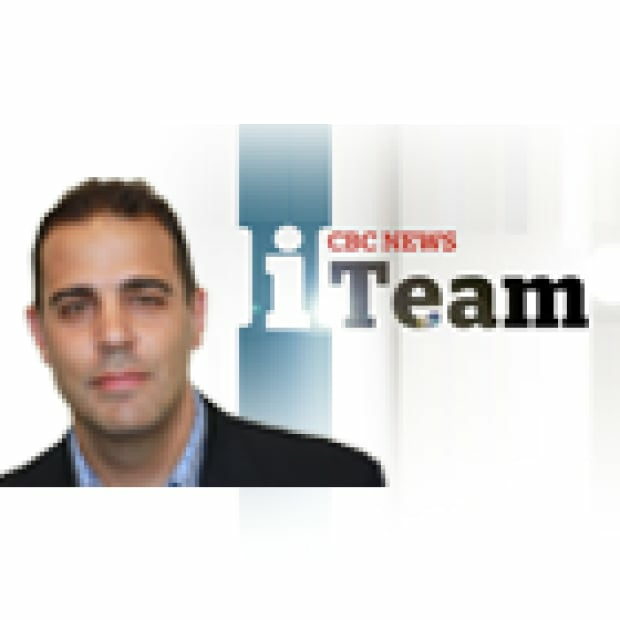 After reading the CBC story, Barry Chessall, who owns a computer and security company in Nipawin, Sask., took to Twitter. "Had the same scam presented to me at my business. They were very persistent," he wrote. Chessall said Sui stopped by Nipawin Computer Solutions last month and approached his wife, Debbie, asking if she would be interested in hiring Chinese nationals. She said Sui offered to pay the worker's wages and benefits and a $15,000 cash incentive. At the time, the couple was looking for workers for their computer store but Debbie felt uncomfortable with the offer and asked Barry to meet with Sui. In an interview with CBC, Barry Chessall said Sui told him "he had the people to fill the vacancies for the technical positions I needed and that they would fit in very well." Chessall said Sui seemed almost desperate, and told Chessall he would meet him any time. "He would drive out in the middle of the night. Whatever it took for me to sign these papers." Chessall ultimately said no, concluding the offer was too good to be true. In total, CBC has been contacted by people in four separate Saskatchewan communities who say they have received similar offers. 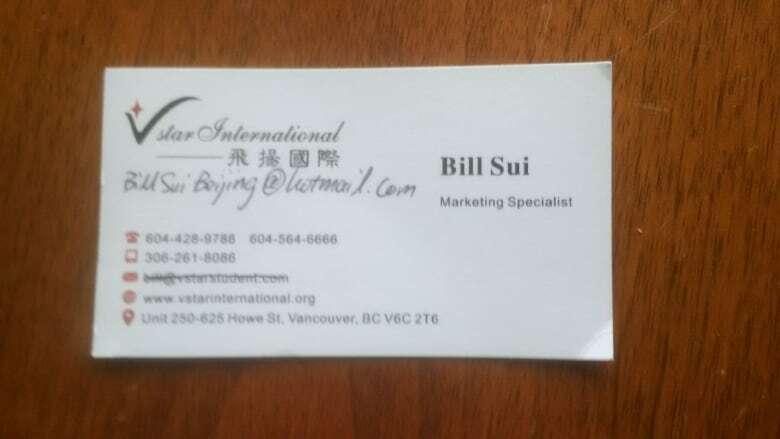 In three cases, CBC was told the person offering cash for jobs was Bill Sui. Matthew Zurevinsky, who runs Dataport Computer Centre in Melfort, said he was visited by Sui and urged to offer a job to a Chinese national in exchange for cash. He said Sui told him it was a government program and that he needed to make a quick decision. Sean Wallace, the economic development officer in Tisdale, Sask., said last August a couple of businesses in his town were approached by an Asian man offering cash in exchange for a job offer to Chinese would-be immigrants. One of the business owners asked Wallace to attend a meeting with the consultant, who said he was from a Vancouver immigration consulting firm. Wallace doesn't remember the man's name or the company he worked for. Wallace said the consultant offered to pay three months' wages and benefits for a Chinese national in exchange for a job offer. On top of that, there was a $20,000 training fee. Wallace said he recalled thinking, "there's just all sorts of red flags." "I said, 'It's highly irregular that you would be paying for this.' I said, 'Who's actually paying? Is it the immigrant who's actually paying you the $20,000 for us to train?' Because, I said, 'If that's the case, I don't think that's legal.'" Wallace said the man was unable to produce a business card, a phone number or a website address. "I ended the conversation [saying] that, 'I don't think any companies in Tisdale will be doing business with you until we can confirm your credentials,'" said Wallace, who also notified police. An ongoing court case suggests this sort of thing may have been going on for years in Saskatchewan. In December 2015, Qi Wang and Yujuan Cui, a couple from White City, Sask. — a bedroom community of Regina — were charged with violating the Criminal Code and the Immigration and Refugee Protection Act for allegedly creating fake job offers or inducing others to do so. The husband and wife, who now live in Roberts Creek, B.C., are set to stand trial in January for their actions related to hundreds of immigration files in Saskatchewan. Wang and Cui have been on the radar of immigration authorities since 2008. In its fact statement filed in court, the Canada Border Services Agency (CBSA) says from 2008 to 2010, the province of Saskatchewan had suspended Wang from using its Immigrant Nominee Program because "he had been offering jobs from Saskatchewan companies that were not in existence and offering positions from a company for which authorization had not been received." Then, in 2012, CBSA was tipped off by provincial officials about some more suspicious activity. During the two-year investigation that followed, from 2012 to 2014, CBSA seized material including "documents containing signature blocks and business header information taped onto job offers as well as documents with the employer's email address portion cut out or taped over with a new address." Investigators allege that Wang and Cui made fake job offers to Chinese nationals, sometimes using non-existent companies. They also theorize that the couple approached and counselled "legitimate Saskatchewan companies to provide fraudulent job offers to Chinese nationals" and promised "to compensate legitimate Saskatchewan companies for providing fraudulent job offers." 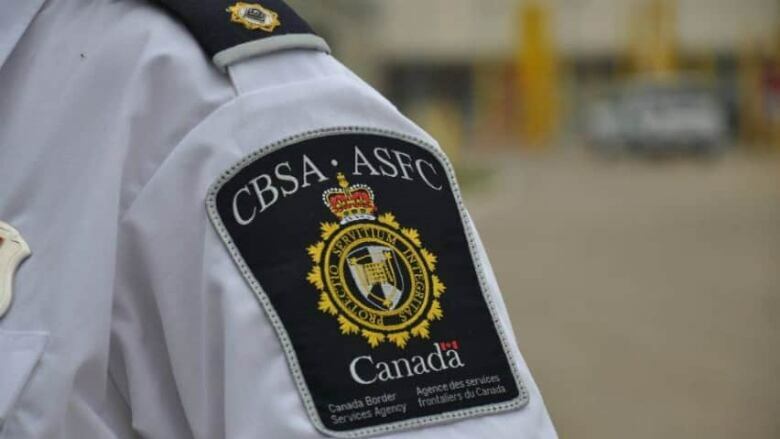 In all, CBSA says the couple "illegally received $600,000 from Chinese nationals" and "paid out approximately $95,000 to seventeen different Saskatchewan business owners." In documents seized from the couple, investigators found the names of 1,229 people. The province had received immigration applications from 422 of them. CBSA found that 27 of those had their applications rejected, but 78 had already become permanent residents. The court document says "CBSA did not have the capacity to ascertain with certainty the number of applications that were fraudulent." 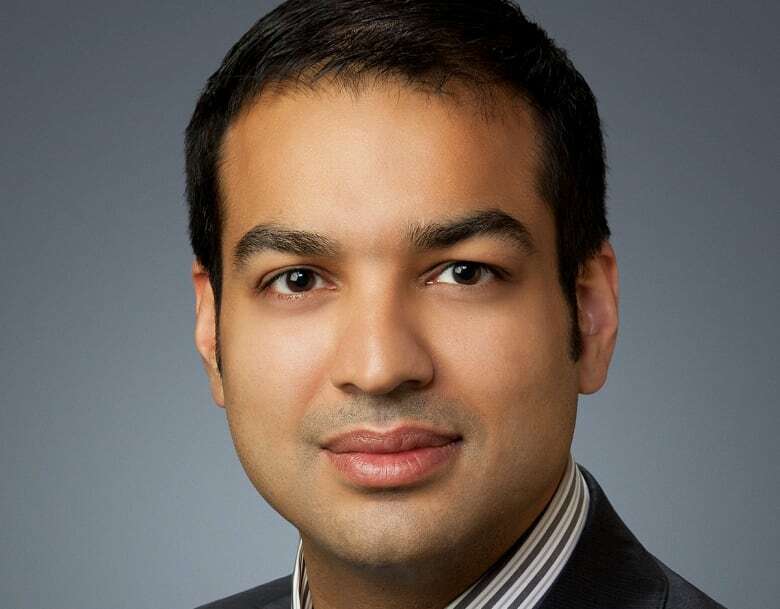 None of this is surprising to Raj Sharma, a Calgary immigration lawyer who used to work for the immigration refugee board as a hearing officer. "Wherever you have this hot economy and favourable immigration climate, you're gonna see this type of action," he said. He said this is precisely the sort of thing they've been seeing for years in Alberta. Sharma said he knows it goes on because he regularly gets calls from people wanting his firm to find them a job in exchange for money — which he says is illegal. "We respond and say that's not what we do. But obviously they make that inquiry because there are others who do," he said. He said those who are willing to flout the law can command "five to 10 to 100 times more than our fees." "Canadian residency is a sought-after commodity and an asset," he said. He insisted in order to stop people from exploiting that fact, enforcement needs to be tougher and the rules need to be strengthened. He said that's especially so in Saskatchewan, where the program "is looser and more generous than Alberta." When asked about CBC's Vstar investigation, the Saskatchewan premier's office responded with a brief written statement, saying, "Saskatchewan has the strongest nominee program in Canada and we are determined to make sure that it remains the strongest." "As always, the government treats any suspected immigration infractions very seriously. Government officials look into information provided by anyone showing potential evidence of wrongdoing." When asked, the premier's office didn't explain what it meant by "strongest." Sharma said Alberta prioritizes approving the immigration applications of people who already live in the province and work or study there, whereas Saskatchewan "will still allow someone to come directly from overseas and I think perhaps that should be tightened up." He said it's implausible that someone from China with weak language skills would be able to land a job in Canada without assistance. And he said there are many who are willing to "help." "It is inevitably fostering fraud," Sharma said.